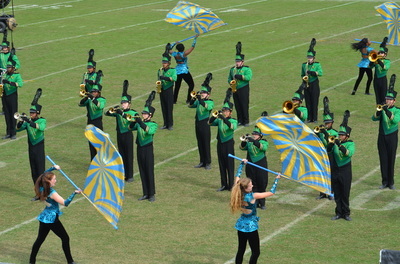 In a marching band, the color guard is a non-musical section that provides additional visual aspects to the performance. 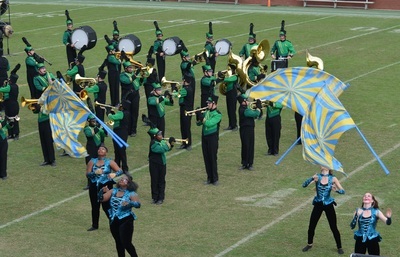 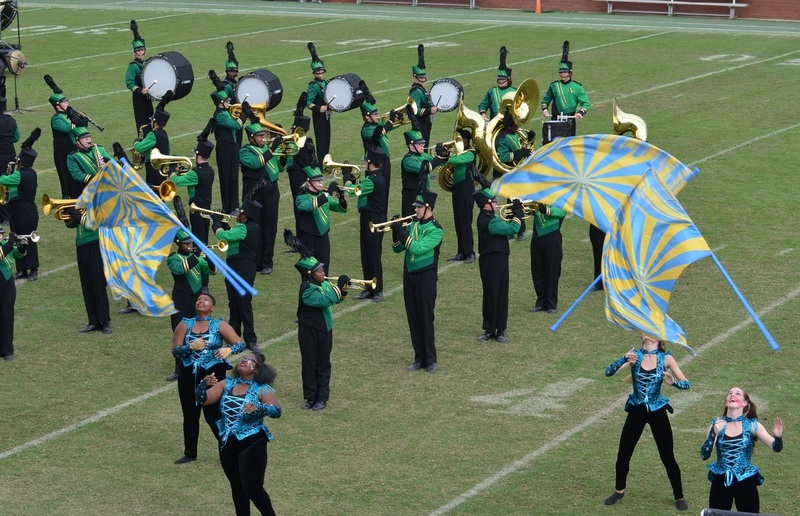 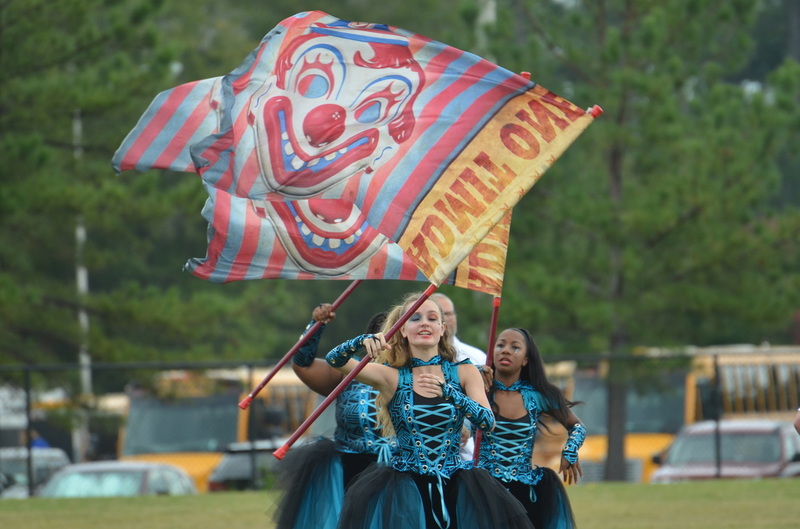 The marching band and color guard performance generally takes place on a football field while the color guard interprets the music that the marching band is playing via the synchronized spinning of flags, sabers, rifles, and through choreographed movements. The color guard uses different colors and styles of flags to enhance the visual effect of the marching band as a whole. 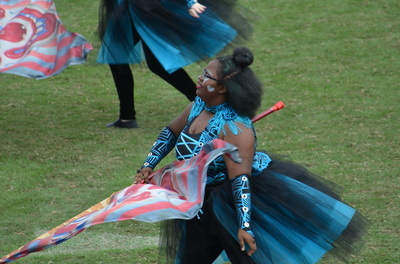 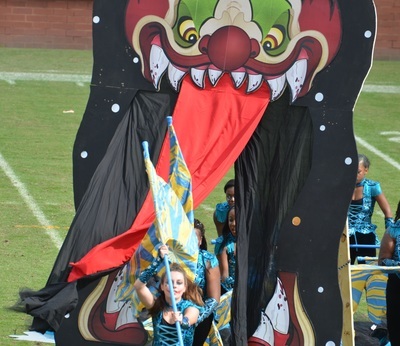 Within the band, color guard is often referred to as simply guard. Although color guard is by definition a sport due to its physical and competitive aspects, it is also considered an art. 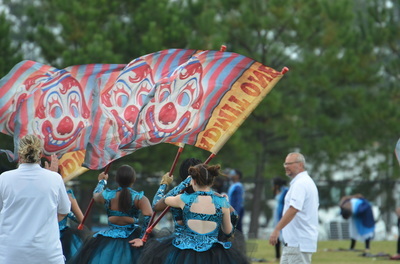 The performers use the elements of expression, and their equipment to tell a story. 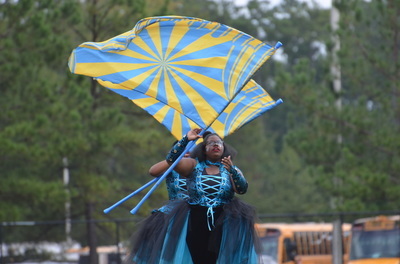 The music, and scenery set the stage, and the performer completes the show. 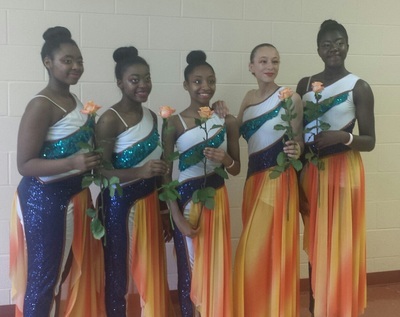 Winter guard is performed indoors, usually in a gym or indoor arena during the winter or spring season. 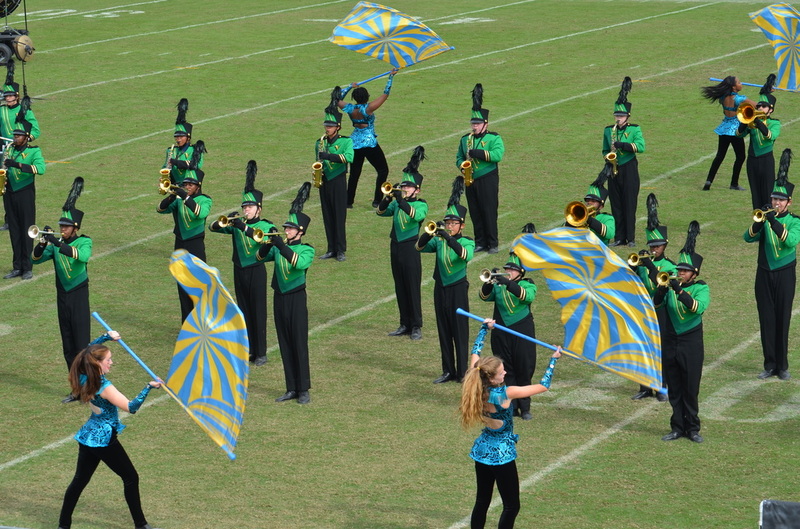 Instead of performing as a visual accent to the marching band, each winter guard team picks its own music to perform to. This helps to encourage individuality. 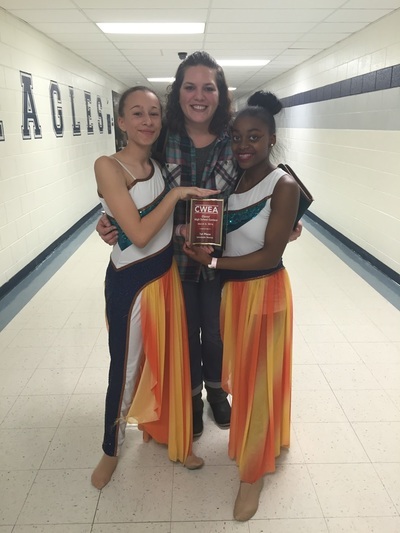 Winter guard teams are judged, not only on talent and precision, but also on creativity. 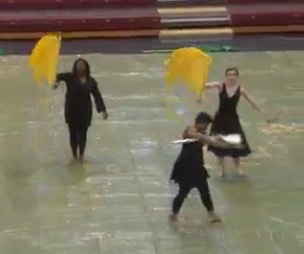 There are multiple ways that winter guards perform. 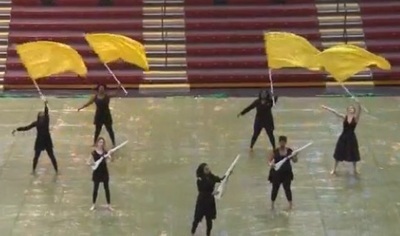 They can use various equipment, props, and dance moves.